So why do You Need a Pocket Jamie in your life. 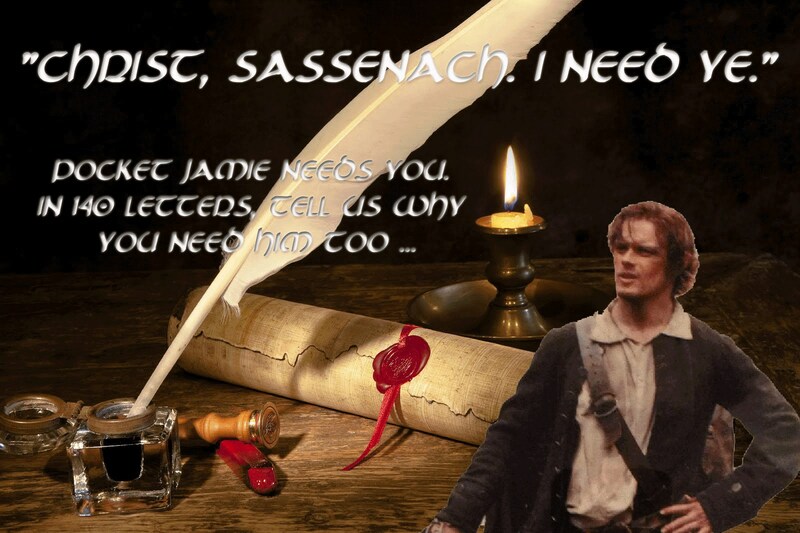 Tweet your answer including both of the hashtags #pocketjamie #needPJ. Be creative and entertaining. The 5 answers with the most favorites that include both of these hashtags will be finalists. The secret panel of judges will determine the 2 winners from this group. You will need to follow the @heughligans account to be awarded your prize, since we will need to be able to contact you to arrange shipping. To see what other people are saying and vote on your favorites by favoriting them, use this twitter search #pocketjamie #needpj. I never win anything.. This would be my first time. First time, with Jamie Fraser? Oh yea. I am all about the brooding silent type! I need someone to keep me company while reading Outlander books and doesn’t interrupt every few minutes. I think they should sell these to benefit charity. I don’t tweet! I need something good in my life. I love the books and I think Sam was made to v=be Jamie. He may even bee Jamie come to life.